Heartleaf skullcap (Scutellaria ovata ssp. bracteata) is a lovely little wildflower that announces spring is around the corner when its leaves make their appearance in the garden in late winter. It is a wonderful addition to any garden because it has beautiful flowers, is maintenance free, tolerates a wide variety of growing conditions and provides nectar for the bees. Skullcaps are in the Lamiaceae, or mint, family. A square stem is a big identifier for plants in the mint family. Scutellum means ‘little dish’ and once you see the seed pods you can tell why. When the seeds dry the top pops off, at a suture line about a third of the way down the height of the pod, revealing the ‘little dish’ with its four seeds. Many times the seeds are sent flying when the pod pops open, but sometimes one or more seeds are retained. The violet-blue flowers are born on racemes. The first flowering stalks are around nine inches in length. The entire plant is only about 12 inches in height. If the plants are dead headed the second flush of flowers is much shorter with only a few flowers on each raceme. The flowers are two lipped with the upper lip being a hood. The lower lip is shallowly lobed and makes the perfect landing area for large bees such as bumblebees and carpenter bees. 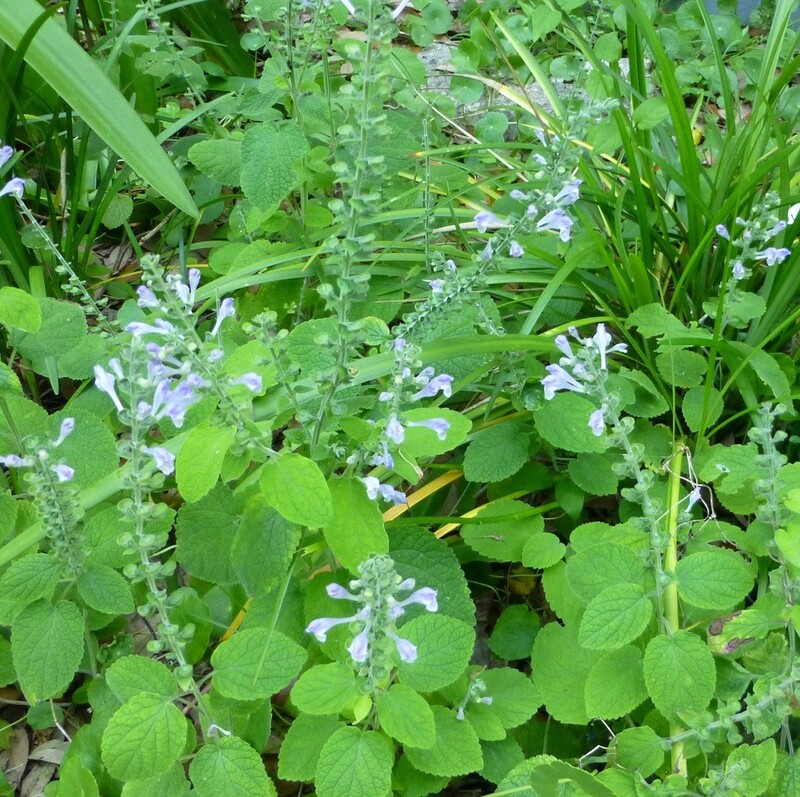 Heartleaf skullcap blooms from April to May in Central Florida. 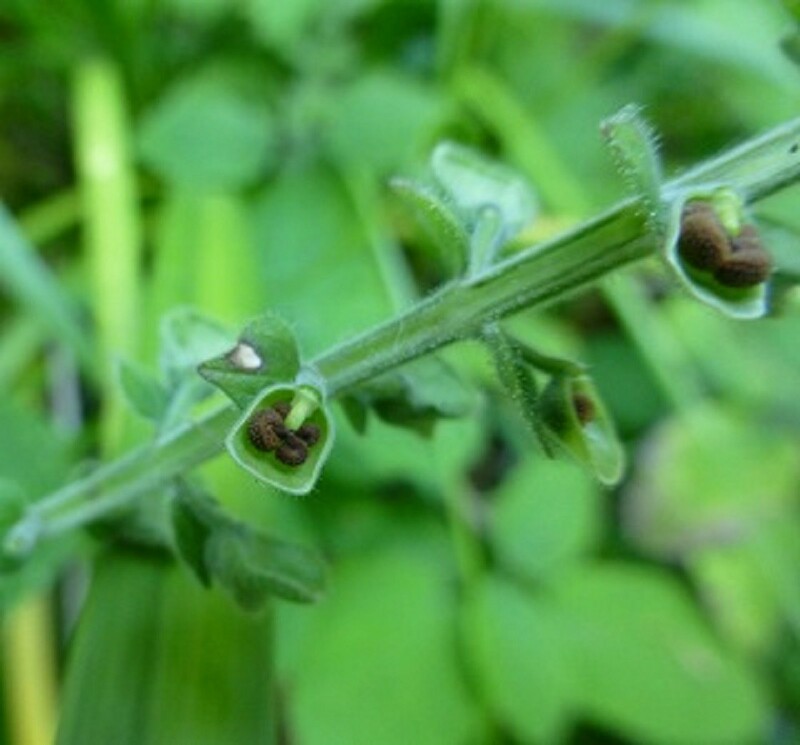 Since heartleaf skullcap blooms from the bottom of the raceme upwards the seed capsules ripen in the same way. The lowest seed pods will begin to open and spill out their seeds while there are still several blooms at the top of the raceme that have just opened. Individual seed pods are ¼” long by 3/16” wide. 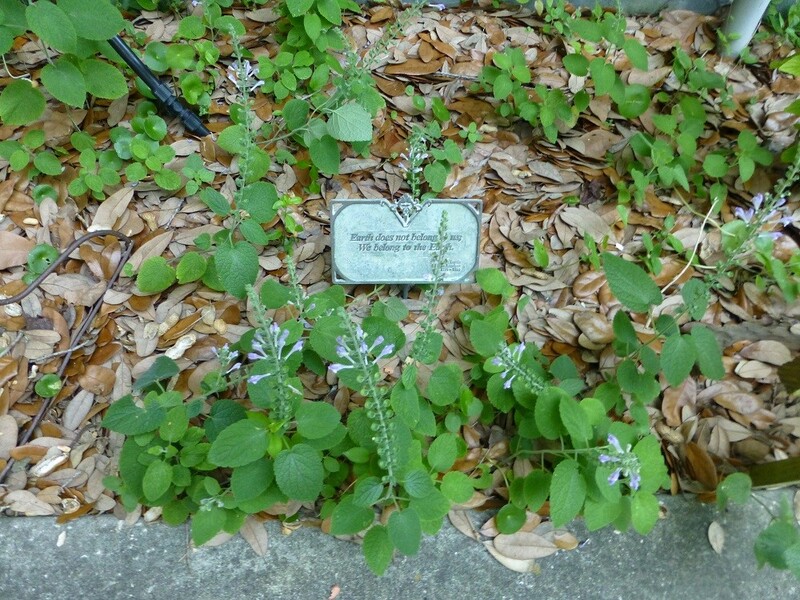 Heartleaf skullcap occurs rarely in nature in Florida and has only been documented growing in the wild in two counties. However, it is native to Alabama, Arkansas, Florida, Georgia, Illinois, Kansas, Kentucky, Louisiana, Missouri, Mississippi, Oklahoma, and Texas. It occurs naturally in rocky woodlands. 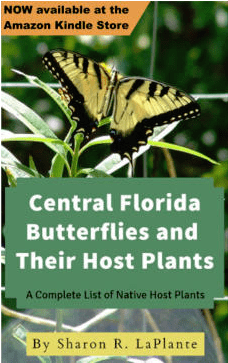 The University of South Florida Herbarium has it vouchered for two counties in Florida. One specimen is from Escambia and the other Hernando County. Don Robinson and I submitted the specimen for Hernando County in 1998. We happened to find it growing in the woods during a native plant society field trip to a local rock mine. The specimens we found were growing in deep shade with rocky, dry, soil. It grows in gardening zones 4a to 9b. In the home landscape it can be planted in full sun to shade and once established is drought tolerant. Since it tolerates shade I like to plant it underneath oak trees to have a spot of color in the spring. I also have it in a flower bed inter-planted with amaryllis, society garlic, or liriope. The society garlic and liriope are evergreen so there will be greenery and flowers in the bed once the heart-leaf skullcap is gone for the season. It is not aggressive and gets along well with other flowers that are least as large, or larger, than it is. Propagation is achieved through transplanting tubers or starting seeds. 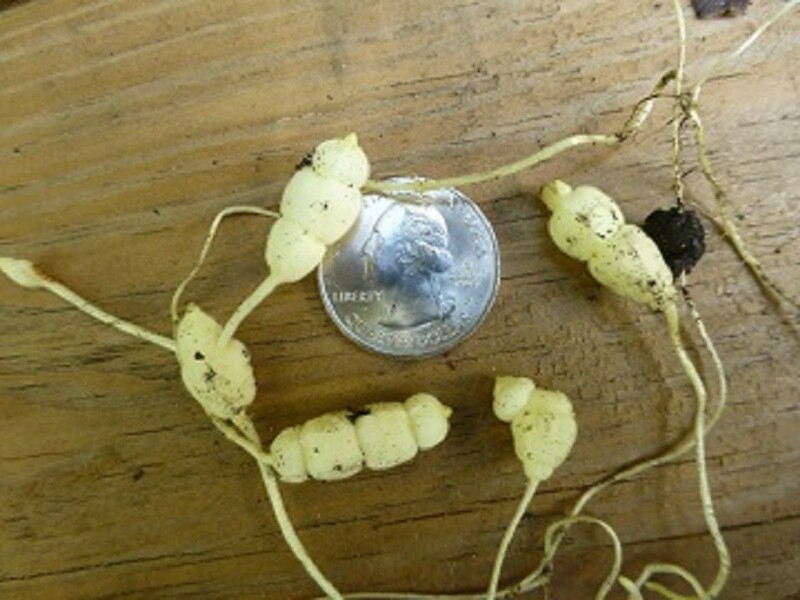 The tubers are small, white, and separated into shallow segments much like the rattle of a rattlesnake. The tubers are attached to each other by a thin, threadlike, root which will break easily. However, the tubers can be re-covered with soil and all will be well. The tubers do not grow very deep and are easy to dig up in most garden soils. This plant is easy to ‘lose’ in the garden or flower pots because it goes dormant. The leaves are 1 ½ “ wide by 2 1/2 “ long. The leaf margins are crenate and the texture is velvety smooth because of the many tiny hairs on the leaf surface. The leaves are stalked with the bases being cordate, or heart shaped. The leaves are opposite. Heartleaf skullcap is a favorite of bumblebees and is a great nectar source in late winter and early spring. 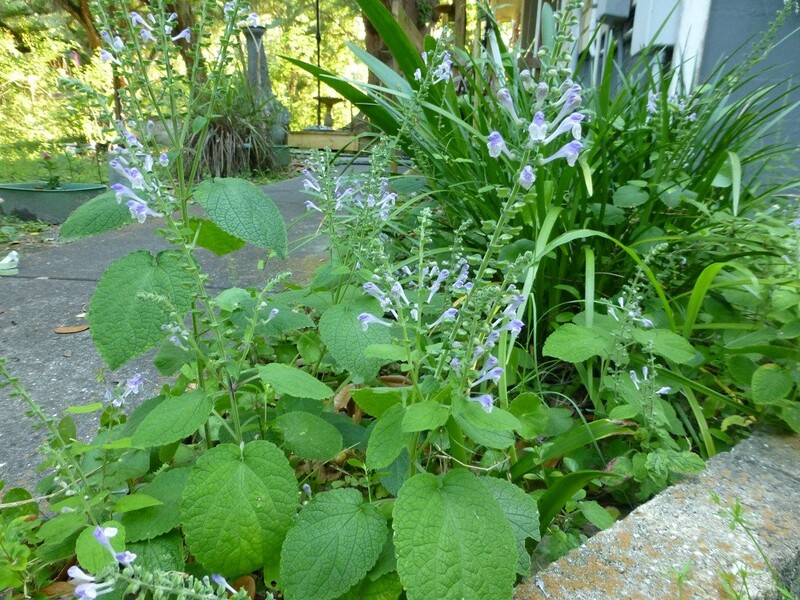 Buy heartleaf skullcap seeds here!